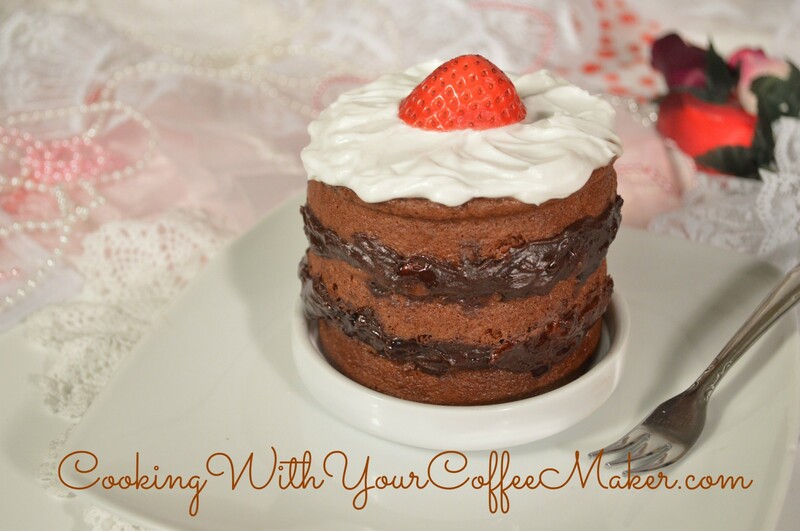 A yummy dessert you can cook with your coffee maker. 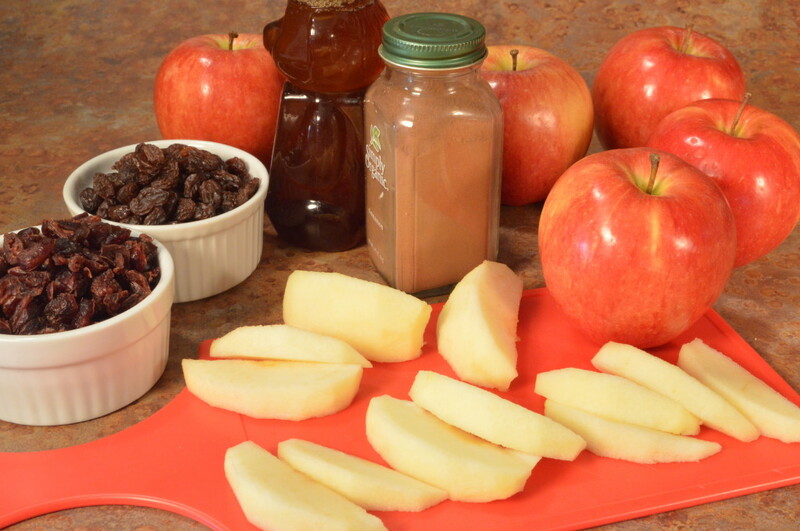 Peel, core and cut the apples into 16 slices each. 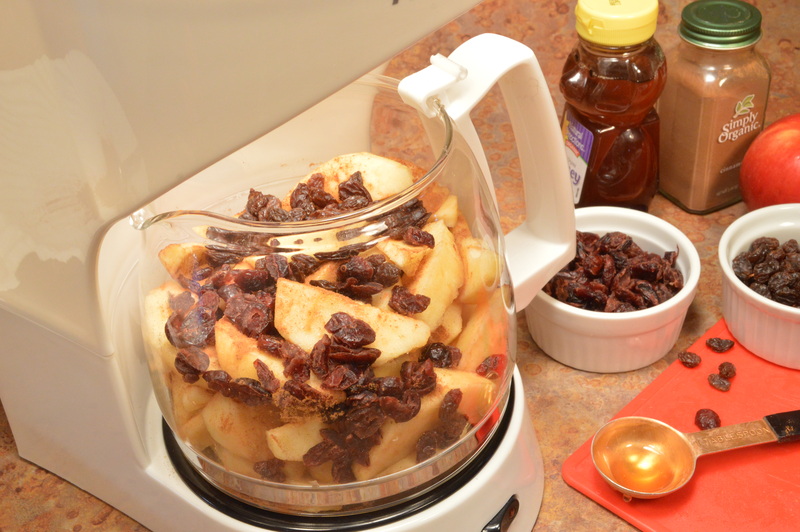 Into the coffee pot, add water, apples, honey, cinnamon, raisins and cranberries. 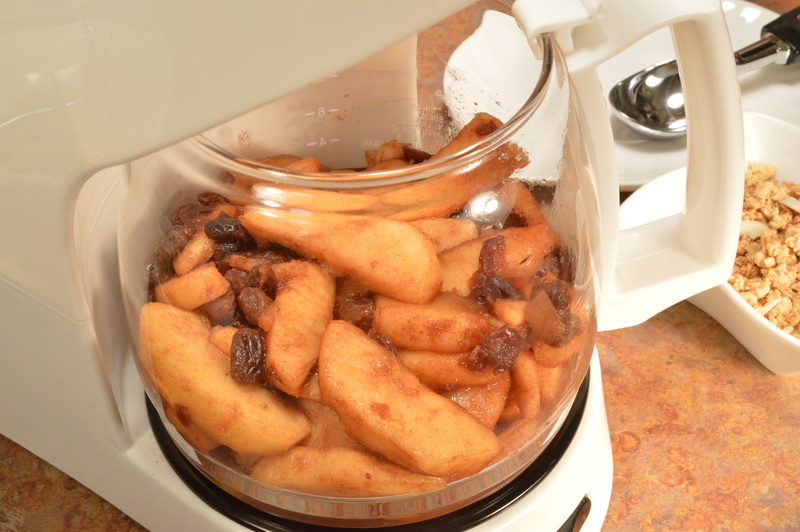 Quickly stir after 45 minutes to bring up the apples from the bottom, re-cover the top of the pot and finish cooking. Cook time: approx 1 hr 15 min. Cut apples. Add everything to the pot. 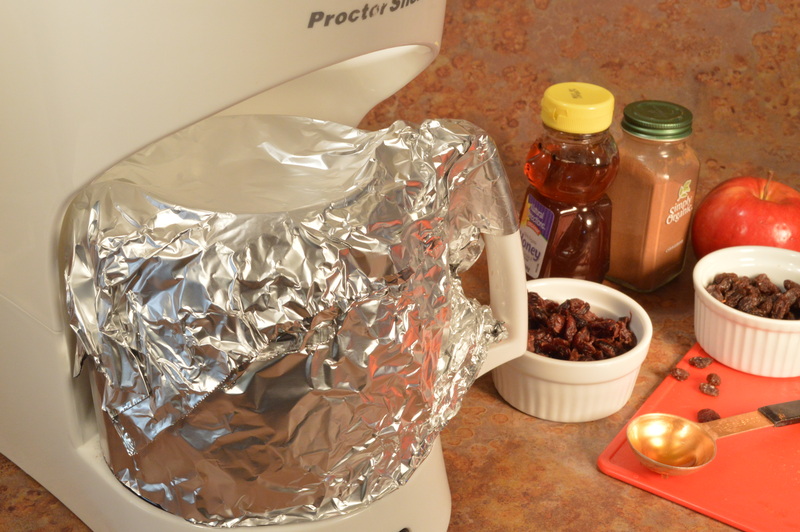 Insulate the pot with foil. 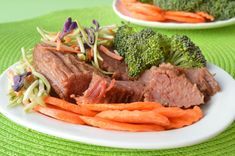 Cook time approx 1 hr 15 min. Cooked apples, ready to eat. 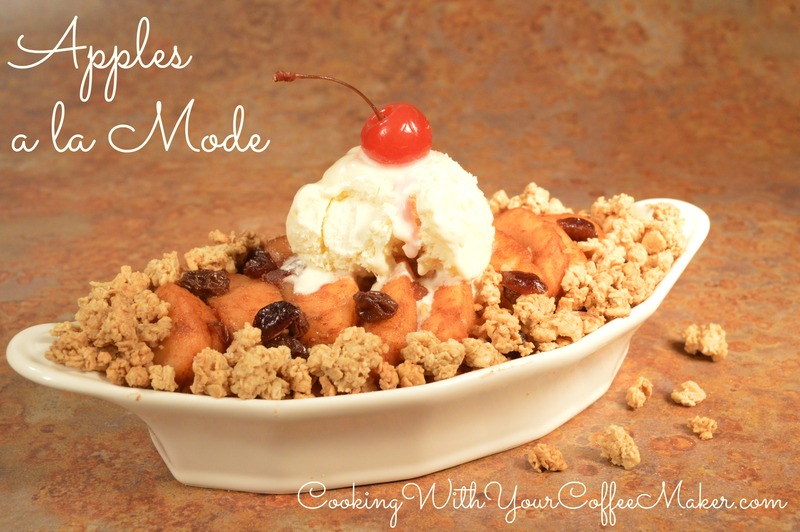 This entry was posted in Breakfast, cooking with your coffee maker, Dessert, Snacks and tagged apples, apples a la mode, cooked apples on March 11, 2014 by cookingwithyourcoffeemaker.